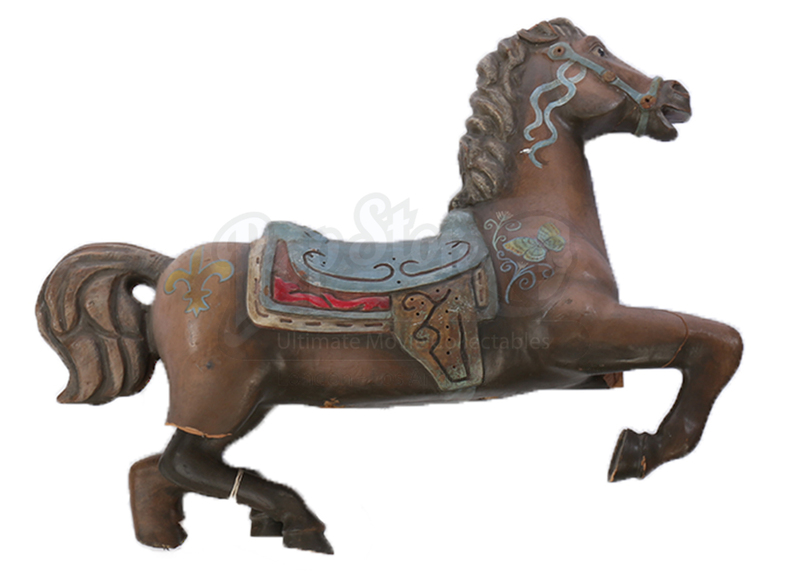 This is an original prop carousel horse created for use in the 1994 sci-fi film Star Trek: Generations. 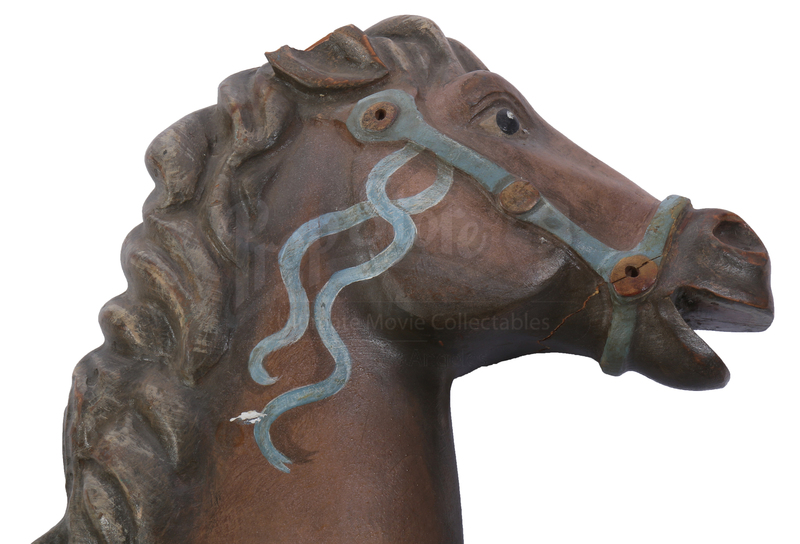 Though this particular horse is not clearly seen on screen, a very similar style piece is used in the scene where Capt. 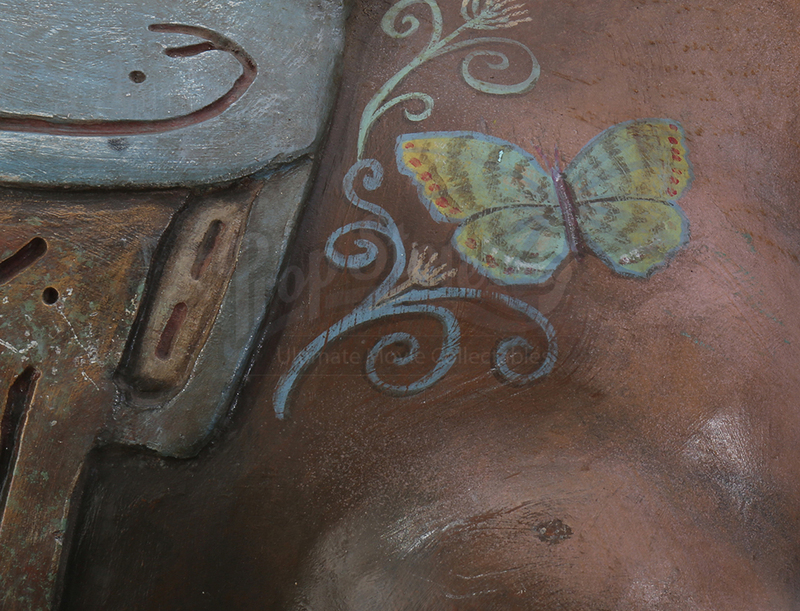 Picard (Patrick Stewart) sees his illusory family while in the Nexus energy ribbon. 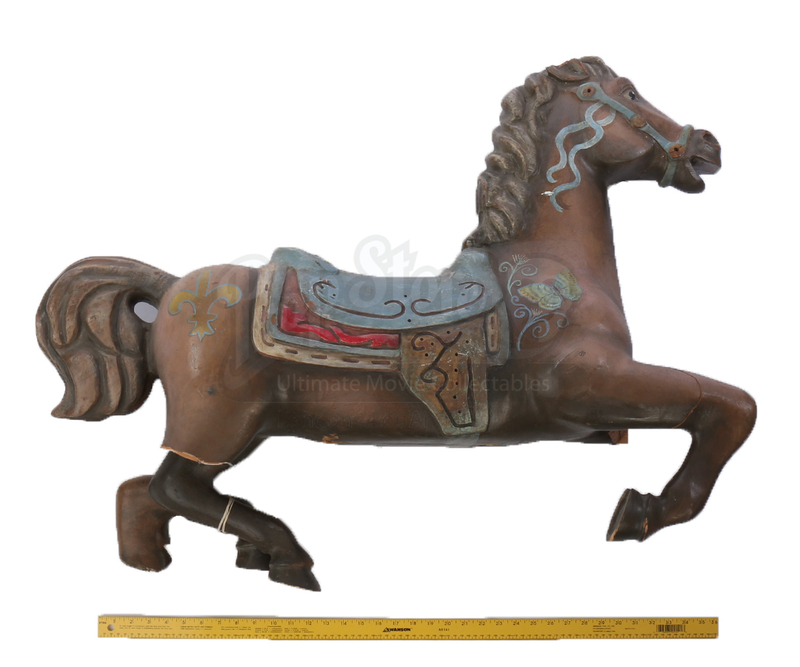 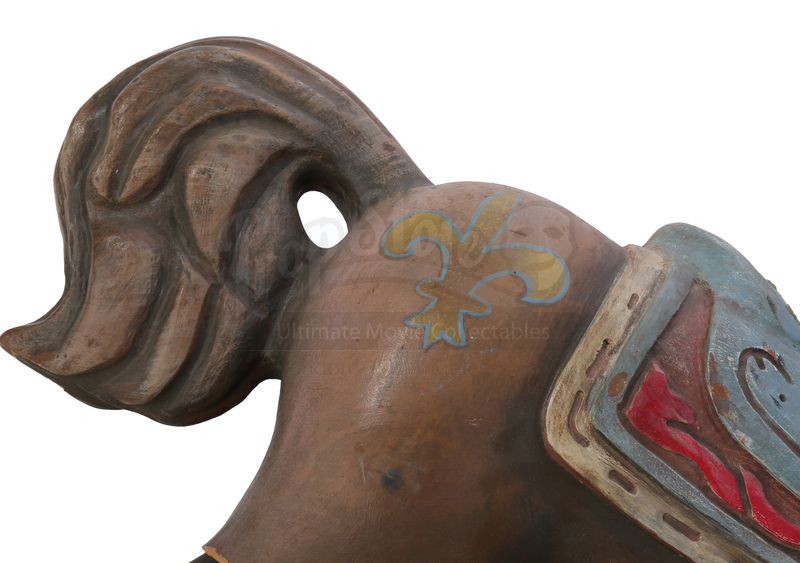 This sturdy brown horse with brown mane is crafted from solid wood and features a blue saddle and bridle, all carved into the single piece, as well as a butterfly painted on his neck and a Fleur De Lis painted on each side of his hind parts. 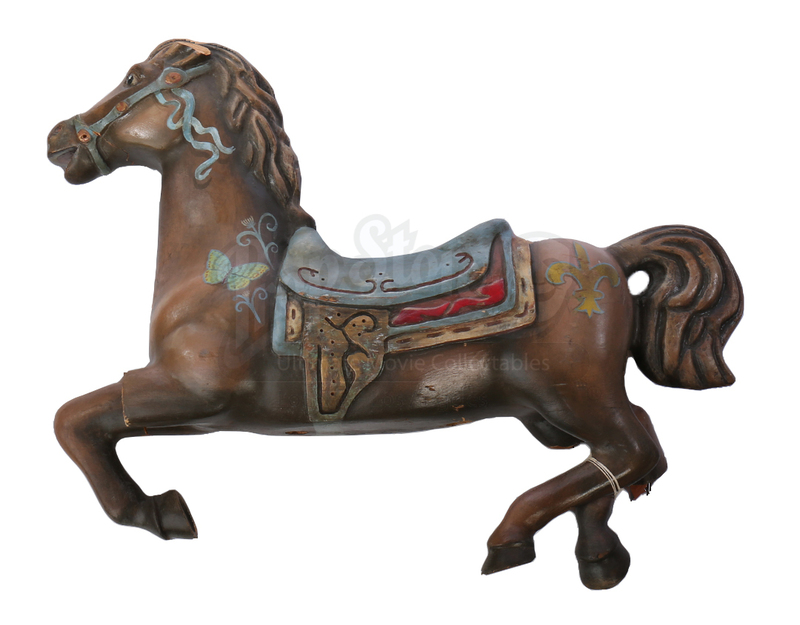 This exquisitely crafted equestrian features two shallow holes underneath the body, where the horse was to be mounted. 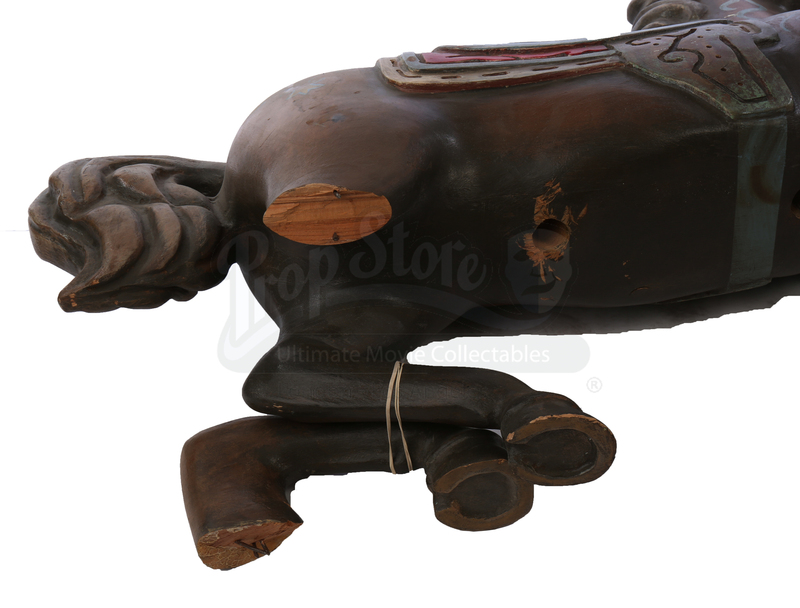 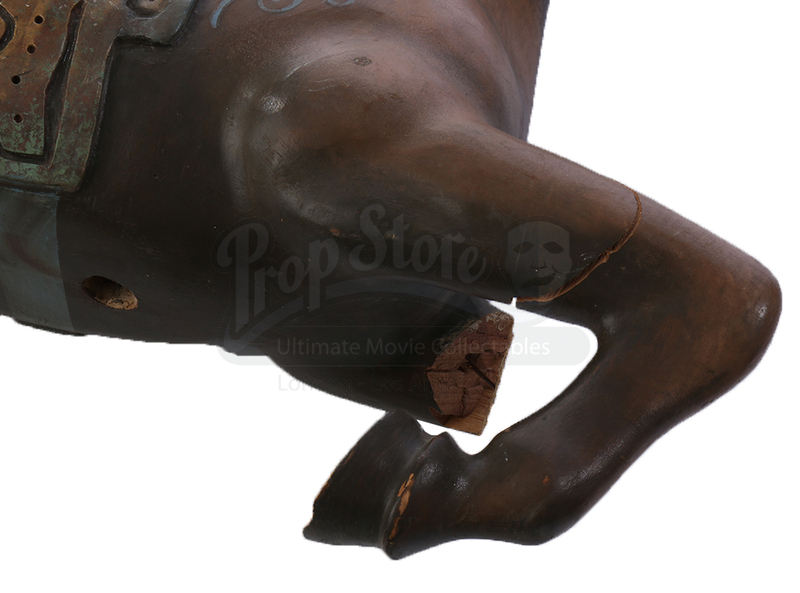 Due to production use and age, the horse features some wear: two missing leg, one detached leg fastened to another, as well as partially sawed front legs, but the piece remains in fair condition.